England based pair of Tendayi Darikwa and MacCauley Bonne are edging closer to representing Zimbabwe after reacting positively to their recent call up. 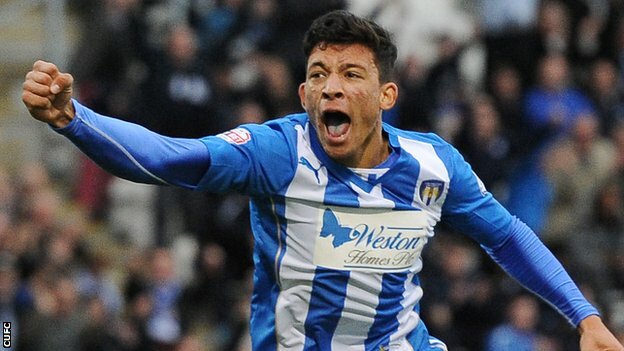 Darikwa plays for EPL side Burnley but has largely been unused this season while Bonne is on the books of English League Two side Colchester United. The two players have been called up for this weekend’s international friendly against Tanzania set for the National Sports Stadium. Warriors head coach Callisto Pasuwa has included a number of foreign based players as he looks at his options ahead of next year’s tournament to be hosted by Gabon. Team manager Shariff Mussa admits interest from Bonne and Darikwa to play for the Warriors increased after qualification for AFCON 2017,but documentation appears to be the only stumbling block now. “The problem is that they have not regularised their papers in terms of having Zimbabwean passports which is a CAF and FIFA requirement Mussa told the Herald. “At the moment the ball is in their court to do so added Mussa. The two players will need to thus visit the Registrar General’s office to sort out their documentation. NextVideo: Ntabazinduna players go for referee!